Memorial Sloan Kettering Cancer Center (MSK) has recruited Sohrab Shah, PhD, to serve as the inaugural Chief of Computational Oncology within the Department of Epidemiology and Biostatistics. In this role, Dr. Shah will lead the effort to build a research program dedicated to harnessing MSK’s numerous big data resources and translating biologic knowledge to clinical practice. He is expected to join MSK in April. As big data becomes increasingly important in the world of cancer research and treatment, the appointment of Dr. Shah will help further develop already robust efforts taking place at MSK, including the development of novel methods and applications to perform quantitative analyses of cancer models, as well as new applied tools and systems to improve cancer diagnosis, predict responses to therapy, and deliver care. Most importantly, Dr. Shah will work to further cultivate a community and academic home for computational faculty, and will develop a training program to attract, engage, and intellectually fuel a new generation of computer scientists to address the challenges presented by cancer. 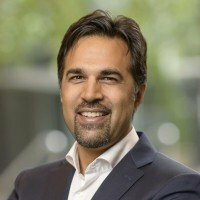 A renowned expert in bioinformatics, Dr. Shah joins MSK from the University of British Columbia (UBC) in Canada, where he currently serves as an associate professor in the department of pathology and laboratory medicine and a senior scientist in the department of molecular oncology with BC Cancer. He is also an associate member in the department of computer science at UBC and the Genome Sciences Centre at BC Cancer. 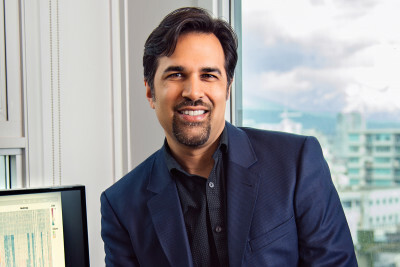 Dr. Shah earned his PhD in computer science from UBC in 2008 and was appointed as a scientist at BC Cancer and an assistant professor at the University of British Columbia in 2010. He holds the Canada research chair in computational cancer genomics and is the recipient of both a Michael Smith Foundation for Health Research Career Investigator Award and a Terry Fox Research Institute New Investigator Award. He is also a Killam laureate at UBC, where part of his laboratory operations will remain active, giving MSK the opportunity to build a stronger connection with both UBC and BC Cancer, two premier institutions.